Application of Picking and Error-proofing System in the Automobile General Assembly Workshop DONG Hongpeng;WEI Lei;China Automotive Technology And Research Center Co.
Research of the Influence of Boiling Granulating Process on the Burning of Pyrotechnic BB Device HU Yanchen;ZHANG Zhiming;GUO Xiaowei;CHEN Yongheng;Military agent's room of Shenyang military representative office of the army stationed in 724 factory;LiaoShen Industries Group Co . Determination of Sensitive Index and Critical Value in Shangshe Coal Mine LIU Xing;Yangquan Shangshe Coal Industry Co. 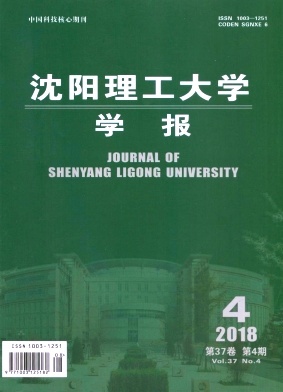 Experimental Investigation of Improving Wear Resistance of Carbon Steel Surface by Ultrasonic Micro Impact ZHAO Shujian;ZHENG Wenting;ZHANG Liaoyuan;LEI Kaitao;Shenyang Ligong University;Liaoning Chinaherld Technology CO.